To visit the LiquidLore Guidebook, click right here. 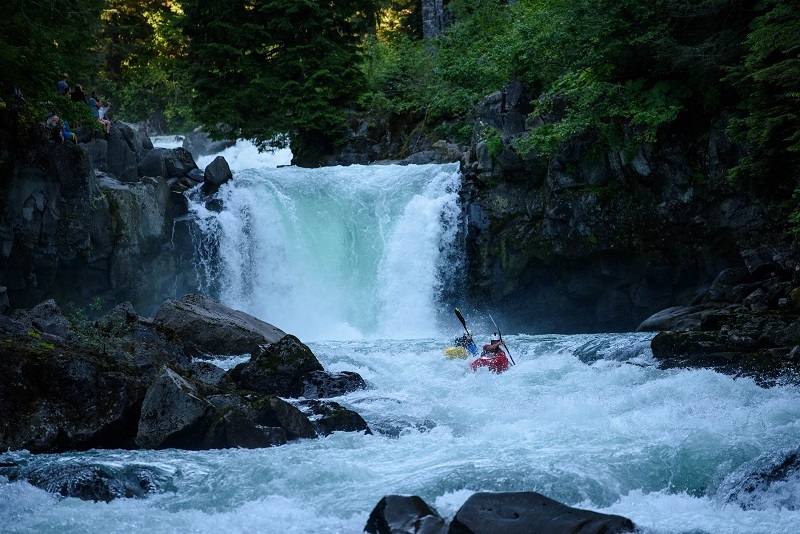 It's the starting point for all kinds of whitewater beta and the main reason this site exists - be sure to check it out. 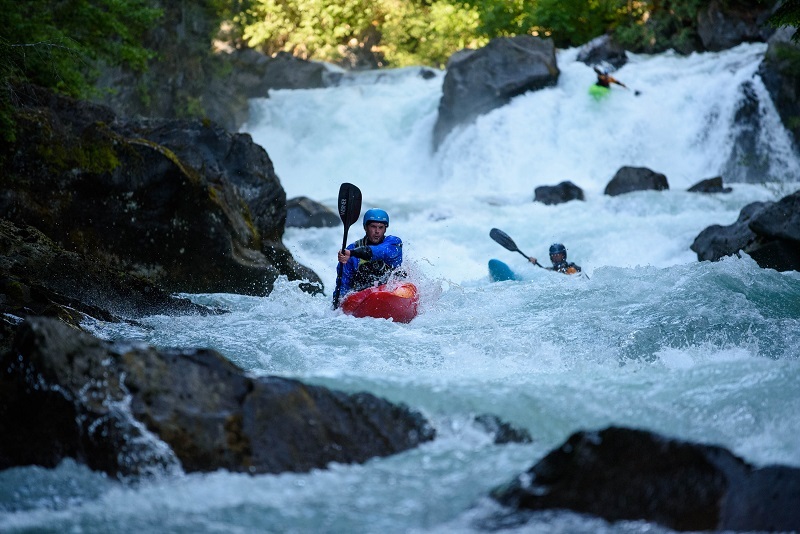 The 9th Annual Callaghan Creek race went down last weekend. It was the most successful race to date, with 60 competitors racing the course. After a winter with lots of snow, the race was held in the normal window of mid July, but global warming like hot weather in the early months of the summer melted much of the snow off leaving us with a nice medium flow of 2.75. 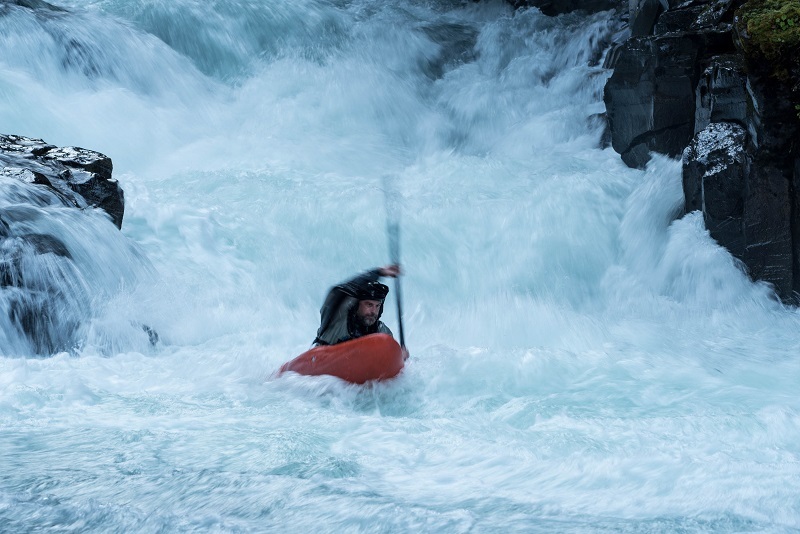 The shortened course was used again this year, partially out of concern for the large tree wedged in the middle of the rapid that some people got tangled up in during training laps. A big thank you goes out to our title sponsors Western Canoe and Kayak and Predator Helmets. 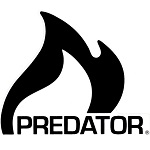 Predator provided cash prizes to the top 3 teams, and a bunch of helmets and other swag to all. Western provided an NRS PFD for the winner of the Cheak time trial on Friday night. A massive thanks goes out to everyone who helped make the race happen - the racers, party organizers, timing volunteers, and sponsors. This is a community event that is only made better by everyone helping out. The entry fees we raised this year were put towards some costs associated with the race, with a some left over to make the 10th anniversary race next year a real blow out. 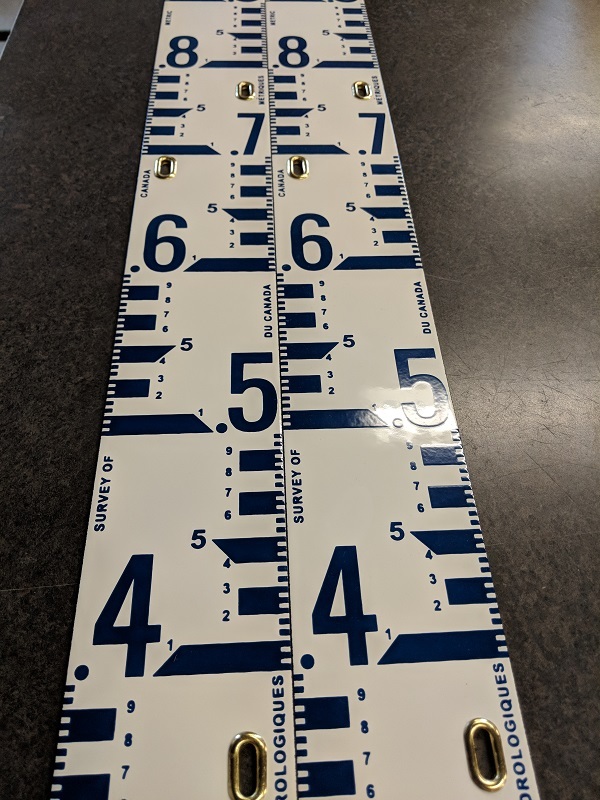 Most importantly, part of the money raised has already been spent to purchase new staff gauges - one to replace the broken one on the Callaghan, and another for fresh installation on the Soo. Thanks everyone for coming out! See you next year. Pre race meeting. Maxi Kniewasser photo. Team Dad between the waterfalls. Maxi Kniewasser photo. Main falls, unknown racers. Maxi Kniewasser photo. Syncro boating. Maxi Kniewasser photo. Wiggy emerging from ODB. Maxi Kniewasser photo. New hardware for river gauge maintenance. The Upper Cheak Race was also a huge success this year, with record participation. The normal course was used, from the eddy above the falls all the way down to the take out by the gauge. The level was 2.6. Finish times were used to seed start times in the Callaghan Race the next day. 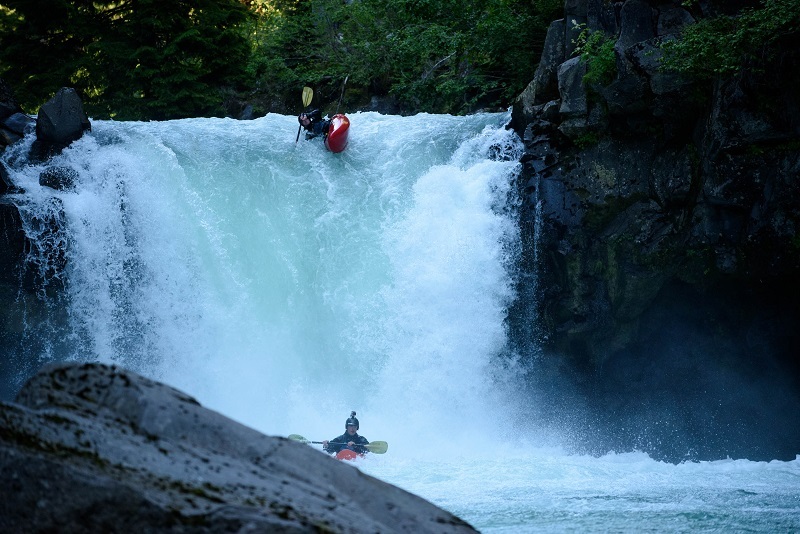 Notably, racer Cody Bartel survived an epic hole ride at the House Rock rapid while being cheered on by all the racers that were finished before him - he was awarded with a brand new kevlar Predator helmet for his survival skills. Blake won an NRS PDF courtesy of WCK for his effort too. Stay tuned for some big plans to celebrate the 10th anniversary races in 2019. See you there! Surviving an Upper Cheak take out rapid beating. LiquidLore is licensed under a Creative Commons Attribution-Noncommercial-No Derivative Works 2.5 Canada License.